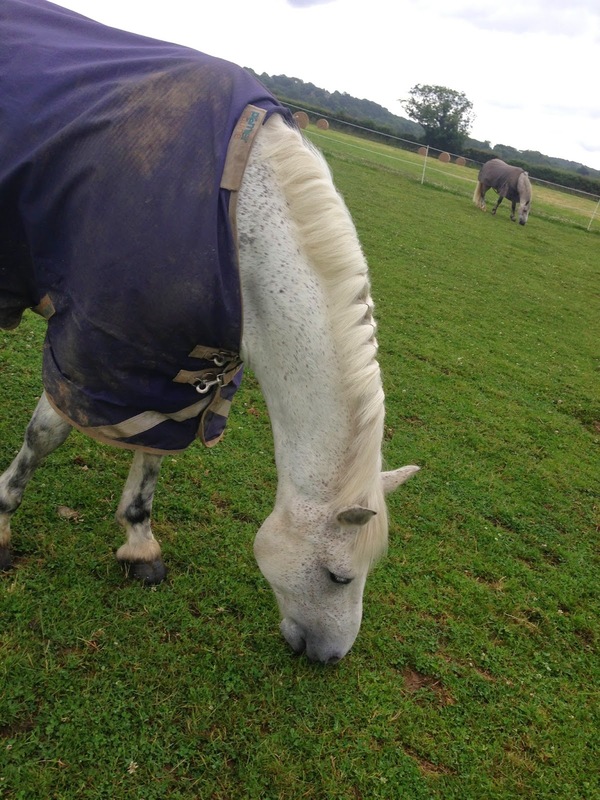 I pull Oscar's mane little and often and as a rule only pull it after exercise when the pores and hair follicles are open, I mostly pull with my fingertips, pinching small amounts at a time to swiftly pull it out from the root. When I am feeling a little more determined I use a metal pulling comb, being sure to only pull small amounts of hair at a time so not to cause discomfort or pain. 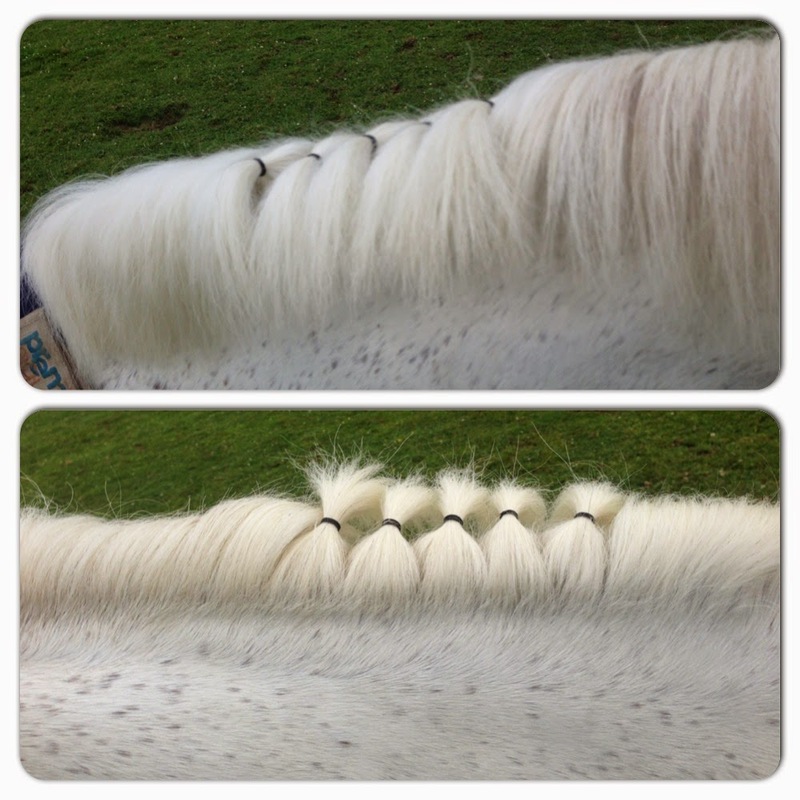 And in recent weeks have attacked the thicker area, dampening it down afterwards to encourage it to lay correctly on the right side and then knotted in a few plaiting bands with 1-2 inch sections of mane per band ensuring these are not pulling at the root, aren't overly tight and are as comfortable as possible. The progress is pleasing and in my lesson last week I was complimented how smart Oscar's mane looked - whoooopp, jump up and down inside, someone noticed to fruits of my labour, I didn't disclose this adds an extra 15/20 minutes onto my time at the yard each evening! 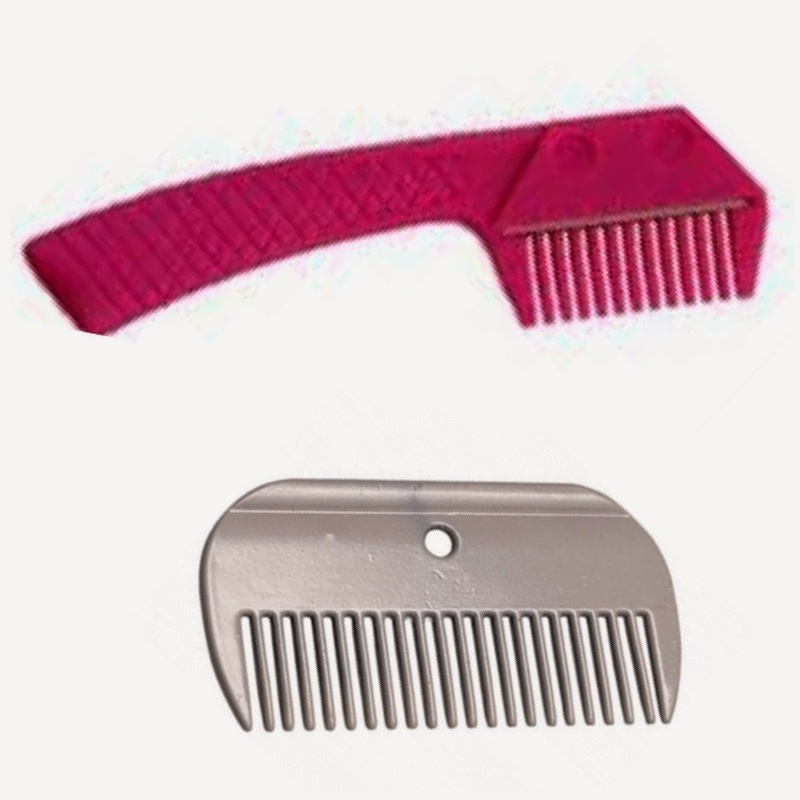 I must add, I purchased a Main Comb (below in pink), it claimed to "eliminate mane & tail pulling, forever", an attractive statement to every horse owner, I think you will agree? It is a comb with a razor inside, that thins and shortens mane and tails to leave a natural pulled look, with an easily replaceable blade...and it's a good job it's easy because I found it needed replacing after every use! Something I don't have the time or money to do and the results weren't anything to write home about either, therefore wouldn't recommend this as a purchase and would rather stick to the traditional method (my trusty comb pictured below). 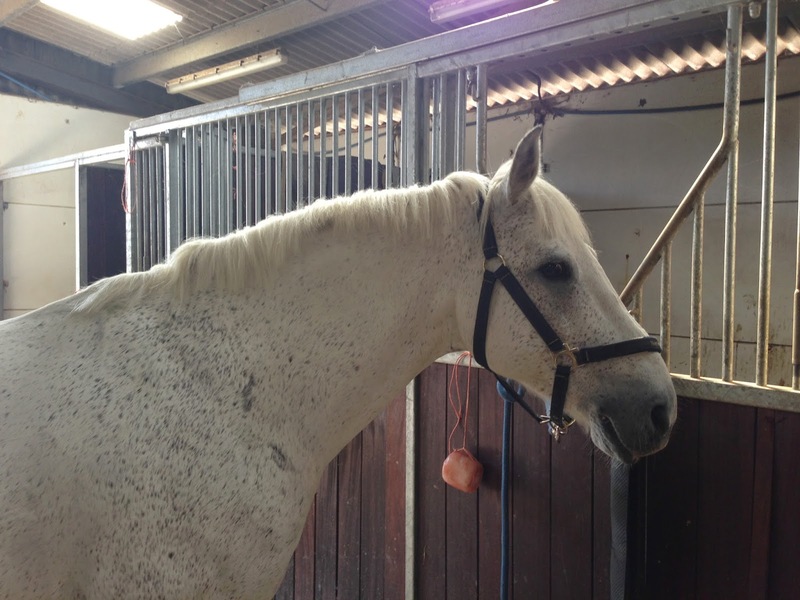 Let me know if you've tried any gadgets to assist you, I'd love to hear feedback on the mane and tail rakes?